In the private jet charter industry the term cheap flights is relative. To the average person a cheap flight is a $99 one-way they found on Southwest or Jet Blue. But for private jet charter flights, the term cheap flight means finding a one-way, empty leg or dead-head flight. Whatever term you want to use when talking about a cheap charter flight doesn’t matter, knowing how to find, create and book a cheap charter flights does. Every charter flight you purchase cannot be an empty leg, but this guide will help you know when to look for one. One ways help you save money on your charter flight enabling you to fly on a private jet for a price better than fair market value. 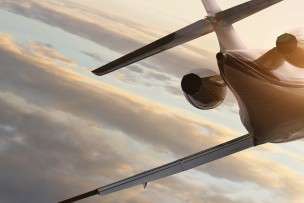 The best way to take advantage of these cheap flights, it is important to know how the private jet charter industry works and what the traffic patterns look like in a market that is conducive to buying and selling empty legs. Creating and finding empty leg and one way charter flights Just like you private jets have a home too. Dependent upon the duration of your jet charter trip, the charter flight may require that your aircraft flies home while you are enjoying your stay and then return empty to fly you home. When this happens, the aircraft generally flies home empty. That is how an empty leg or dead head is created. A savvy charter agent will recognize this and can market that leg for sale. This sale is known as a one-way charter flight. One way charter flights are cheapest when the charter flight consumer has the same routing as the aircrafts return flight. But if you don’t know your air charter agent well, you may never see the benefit of these sales, you may not even be aware when a sale has taken place. We recommend that you find an air charter agent that you trust and develop a relationship. This will help ensure that you receive the best prices for your jet charter flights. Knowing how empty leg charter flights are created gives you an insight into the conditions that increase the likelihood of scoring a cheap charter flight. But what other factors do we need to look at when thinking of purchasing or selling an empty leg? This is a good question. The routing or flight itinerary of the charter flight plays a significant role in the marketability and sale of an empty leg. You could imagine that an empty leg charter flight from Salt Lake City, UT to Pocatello, ID might be tough to sell, but what about a charter flight between New York and South Florida or a charter flight between Los Angeles and New York? The more common of routing for the charter flight the more likely that a one-way can be bought or sold. While routing is an important factor in the availability and marketability of one way charter flights, demand for charter flights is heavily influenced by the current social calendar of its consumers. An experienced air charter agent can see the impact a busy social calendar has on charter flight traffic. They understand these trends and how to take advantage these opportunities when arranging charter flights for their clients. Often times a major event, such as the Super bowl or a change of the season will spur a lot of air charter activity that many of the charter jets available to on-demand fliers will be flying in the same direction. To help increase the efficiency of the private jet charter industry, Stratos Jet Charters has developed software that facilitates the process of finding empty leg availability across the industry and helps to match clients with similar charter flight paths.